I think Chekhov’s First Play is the only play I’ve attended with hold music. As you take your seat and don your provided pair of over-ear headphones, a soothing orchestral arrangement of something a bit generically classical is piped into your ears. It’s the sort of music you might describe as inoffensive. It’s definitely good, it was definitely composed by someone with talent, but as it bumbles along in its pleasingly pleasant major chords it doesn’t really say anything along the way. Then the play begins and not much changes. We’re introduced to the central conceit: that Anton Chekhov’s untitled magnum opus isn’t actually very good and that therefore, instead of a standard performance, we are to be treated to a director’s commentary. And there’s a fun “Play That Goes Wrong” vibe to this opening, with an egomaniacal director, a cast who can’t quite stick to the script, and a ‘Chekhov’s Gun’ running gag – funny, lighthearted, inoffensive. 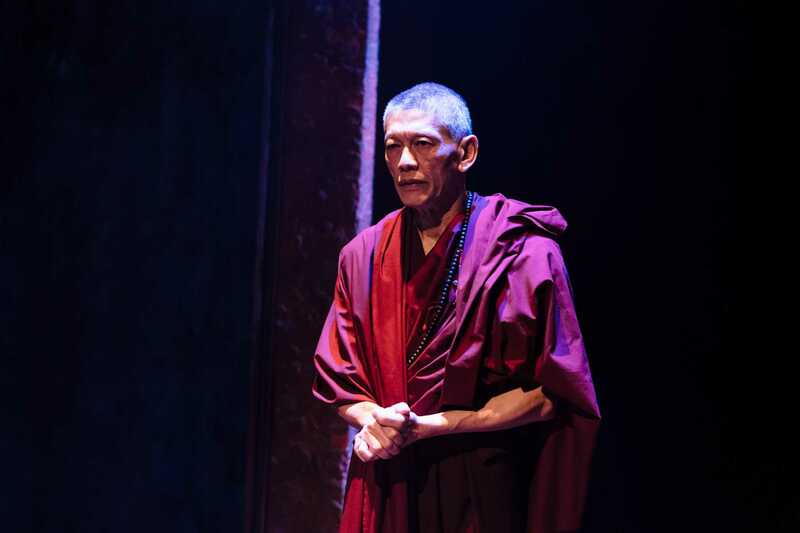 It hints at something weightier and more meaningful, but only tentatively, and despite my polite laughs, as act one draws to a close I have almost given up on waiting for the play to get better. Then act two blows your mind. Act one is a build up that you don’t know is building. The silly humour, the classical staging, the vague ineptitude of the performers – all just a smokescreen to hide the laying of thematic foundations that drive the next half with blinding intensity and insight. The director had previously blathered about the (tenuous) similarities between 1870s Moscow and the modern Dublin, and we had, for the most part, laughed – yet suddenly, seamlessly, we were there, with jackhammers and traffic cones and Google jokes. Each character, previously a mess of tangled plot-lines and confused intentions, now crystallises in front of us, sharp and focused; real, tangible, modern. 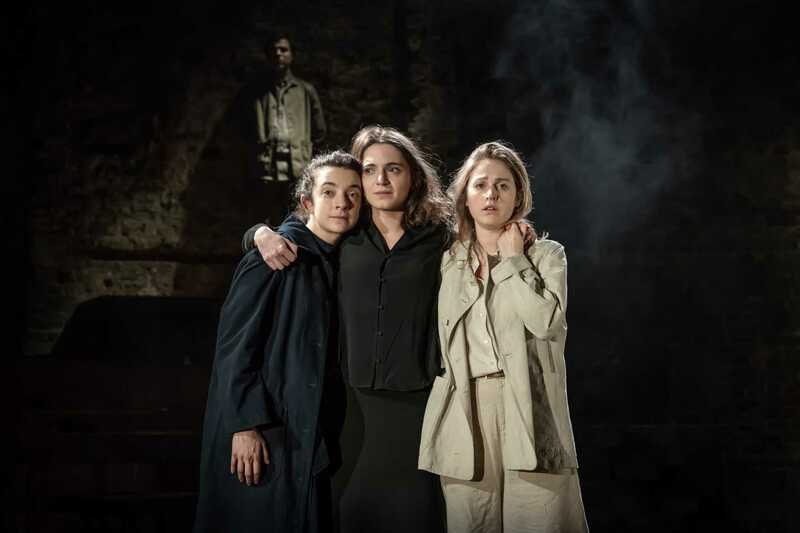 Platonov, the absentee protagonist, is built up to mythical status by his fellow characters but denigrated by his director, joking that he should have made one of us – the audience – stand in his place. Now, a single jacketed viewer is plucked by the voices in his headphones to stand on stage and play his role. The sound design reaches its zenith, the plot beaten forwards by pulsating electronic beats. 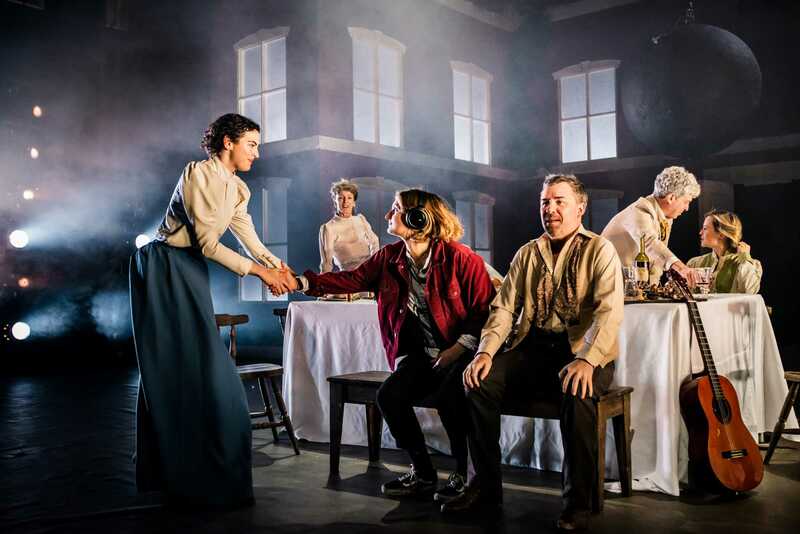 The music in act one had been a timid welcome relief, but here it grasps the condensed plot by its collar and hurls it forward, willing the audience on behind it. The much-anticipated stereophonic sound finally makes its own bold appearance, placing each audience member between the ears of our onstage representative. Sound designers Jimmy Eadie and Kevin Gleeson perform a deft balancing act, providing sounds and effects which are both atmospheric and specific, which pull us in and draw us out. There’s no doubt this is a virtuosic adaptation. Writers/Directors Ben Kidd and Bush Moukarzel have seen straight to the heart of what the young Chekhov was trying to accomplish and cut away the mess that surrounded it, adding in only their own flair for the meta-theatrical and a clear sight for the parallels in setting. It is dazzlingly clever – so clever that whilst I’m caught up in all the ideas swirling about, I realise I’ve missed out on any major emotional payoff. Perhaps in all their surgical deconstruction, they’ve cut out some of the messy frills that often make characters feel real and human. But then to an extent, I’ve always had this problem with Chekhov: his insistence that a gun introduced in the first act must be fired in the second, that a minor detail mentioned at the start will have major repercussions at the end, creates a manufactured tidiness I’ve struggled to connect with. Muffled between the headphones, you also lose a sense of direct connection with the other people actually in the room with you. Theatre is a living and breathing medium, feeding off the ‘liveness’ of the audience and the actors, but we’re each encased in our own little world, sometimes impossible to tell if the others are hearing the same voice as I am. Are the actors even speaking? Or are they in fact mouthing along to a pre-recorded soundtrack? It has the feeling of watching a movie on a plane: private but self-conscious. 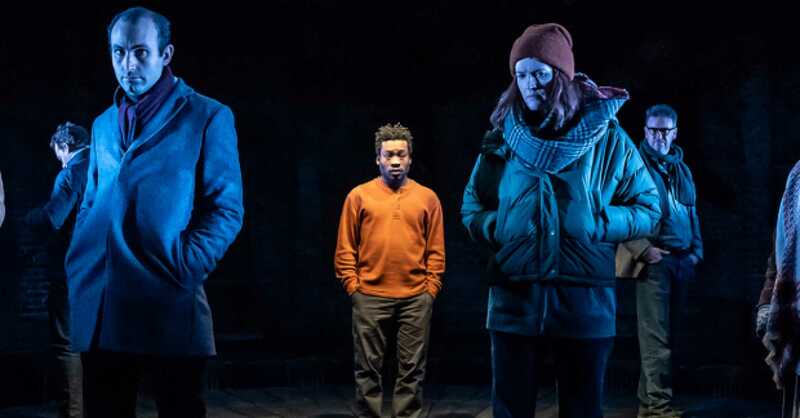 The play is at its best when it embraces the live nature of its performance, but at times it seems – actively or passively – to distance itself instead. Above all else, Dead Centre have set out to challenge the audience, a stance that I wish was taken more often. I didn’t love everything about Chekhov’s First Play, but I loved that it made me grapple with it, unpack it piece by piece. It is a difficult play, unique and brilliant in its construction, creative in execution, memorable and slow in its digestion. 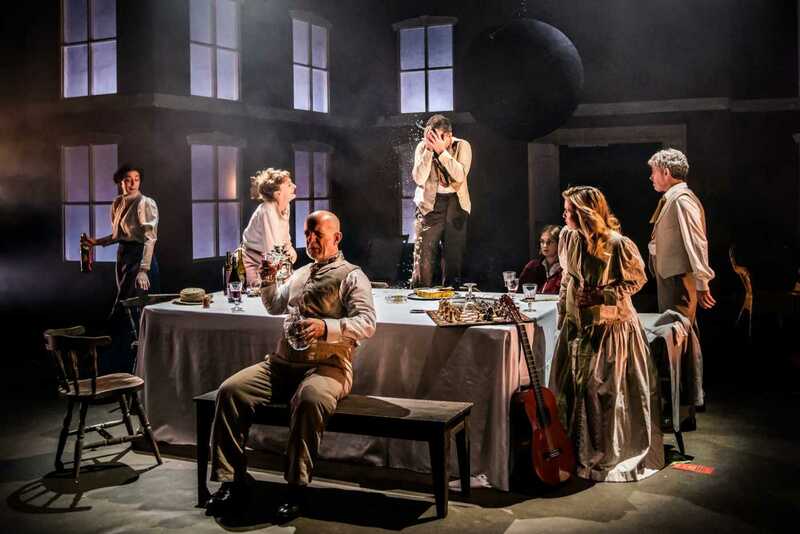 There are a million and one talking points, positive and negative, that didn’t make it into this review – but any play that can inspire that much thought should be flocked to in droves.